Karoun Dairies Inc has an international history from Mediterranean cheese origins. 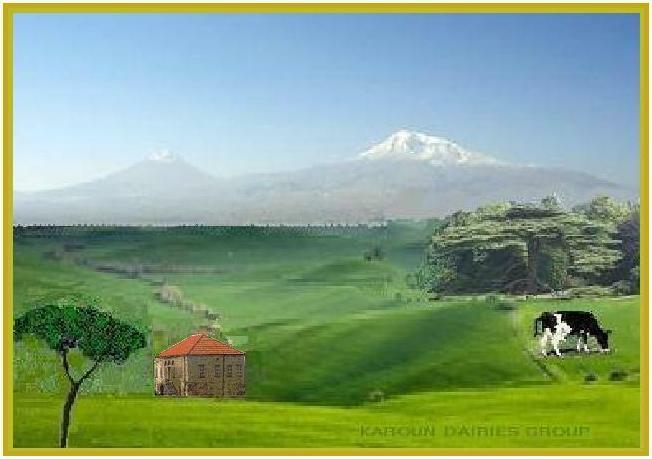 Karoun Dairies Inc. origins date back to 1931 the East Mediterranean region. As suggested by archaeological evidence, dairy farming was developed about 3000 years BC in the Fertile Crescent where animals were first domesticated. The East Mediterranean region is rich in its wide variety of gourmet ethnic cheeses and cultured dairy products. Ara Baghdassarian continues the Mediterranean historic heritage of his father, Ohannes Baghdassarian. He preserves the historical Armenian and Middle Eastern heritage of the Baghdassarian family cheese specialty. KAROUN DAIRIES INC. registered in 2007 in New Brunswick began operations, supplying gourmet ethnic Mediterranean cheese to retailers in Canada. From humble beginnings in 1931 in Beirut, Lebanon, it is now a famous brand worldwide. Karoun cheeses: braided string cheese, Ackawi, Nabulsi, grilling cheese and other specialty cheeses are produced in the traditional artisan Middle-Eastern way from first quality cow milk. *Not related to Karoun Dairies, Inc. of California, USA incorporated under the KAROUN DAIRIES business name and using the KAROUN trademark without the consent of our international group.